When it’s getting warmer you need something transitional, right? 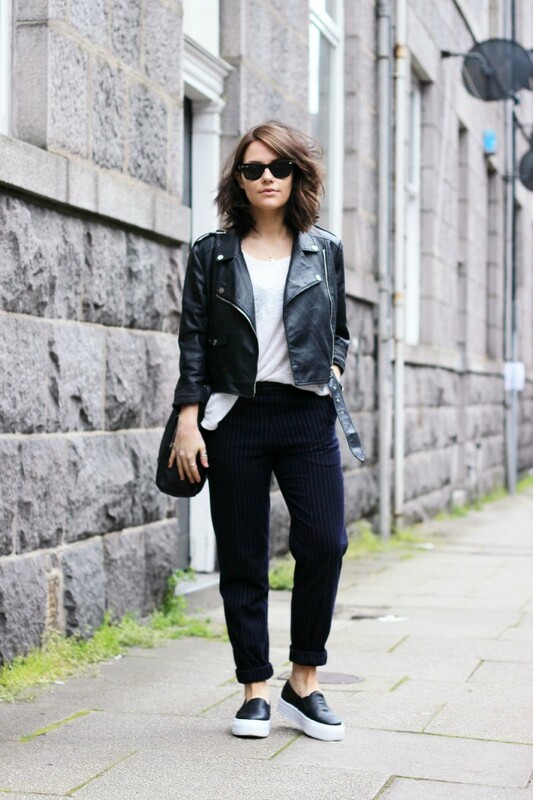 In today’s post we want to share with you 18 ways to wear a leather jacket for women staying voguish and trendy. Every woman should have a classic leather jacket in her closet. If you don’t yet own one, you are missing out! This staple piece is considered a wardrobe essential because it’s so versatile. It not only goes with almost everything but also adds an instant edge to any outfit. Some of you might say there are thousands of other great cover-ups that look the same cool and pretty as leather jackets. Well, you are right, but what if you want something timeless and versatile that will suit any style? Exactly, leather jacket is the most versatile piece in any transitional wardrobe, no matter if it’s real leather or faux one.